SuperBatt Automotive battery range is designed with Advance Calcium Technology which makes them Maintenance Free and give Longer Life compare to conventional automotive batteries. Product Code SB 663. 12V 170Ah 950CCA. Car Batteries. If your battery is not faulty we will send the battery back to you with the print out from the tester. Warranty Procedure. High quality lead and materials. Try us, you won’t be disappointed. Our batteries range from 2, 3, 4 and 5 year. Our Tech team will diagnose the fault over the phone and will assist you. 664 XD Type Battery Specification is as follows. Extra Heavy Duty Battery. Warranty (years) 3. Torberry Connectors has been the main UK Anderson Power Products© distributor for nearly 50 years. We work closely with Anderson, attending exhibitions jointly and recruit their best ex-employees. As we use only approved Anderson tooling we can if required crimp your connectors to the highest standards. Product Code LP644. 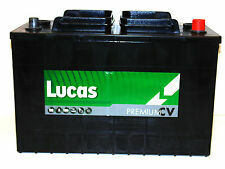 Lucas Premium CV Range Batteries. UK Code TYPE 644. Maintenance Free with Advance Calcium Lead Alloy Technology. " 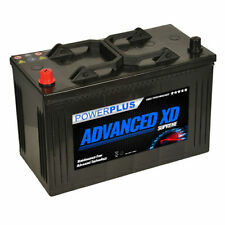 This is a high performance Wet Cell Flooded Lead Acid Battery with Calcium Silver/Tin alloy Technology ". 663 Type Battery Specification is as follows. Our batteries range from 2, 3, 4 and 5 year. Our Tech team will diagnose the fault over the phone and will assist you. Silver Calcium Lead Acid Technology. 12V TYPE 663 HEAVY DUTY COMMERCIAL BATTERY TRACTOR, LORRY, WAGON. So you can buy best in the British market without any Doubt. OUTPUT: - DC 12V 20A. FULL ONE YEAR WARRANTY. With built-in microprocessor and cooling fan with Aluminium Heat Sink body. Bungs (Plugs) are only for transportation use. LUCAS 12V 125AH 655 HEAVY DUTY TRUCK BATTERY. 655 LUCAS BATTERY. TRUCK - PLANT - LEISURE - MARINE BATTERY. Based in Halifax, West Yorkshire, but not far from Bradford, Leeds and Huddersfield, we are only a short drive from Lancashire. Capacity: 120Ah. UK ref: TYPE 663 / 667. 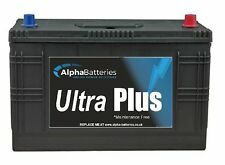 For cars and vehicles with AGM Batteries or EFB batteries MUST Replace AGM Battery with AGM Battery and EFB Battery with EFB Battery or AGM Battery. Bungs (Plugs) are only for transportation use. Lucas leisure batteries are manufactured to the very highest of standards, but to get the very best performance, and longevity out of your batteries it is well worth following a simple care and maintenance program. EU Made. Low Ebay Price inc free UK delivery! Approx size 90mm x 60mm x 18mm weight: 50g Instructions included. We do not dispatch to PO box numbers as a signature cannot be obtained. This is normally remote parts of the Uk etc. Being human, we don't always get this right. 12V TYPE 629 LORRY BATTERY IVECO/MAN/DAF ETC. 12V TYPE 627 HEAVY DUTY COMMERCIAL BATTERY. Based in Halifax, West Yorkshire, but not far from Bradford, Leeds and Huddersfield, we are only a short drive from Lancashire. For details of how to reach us, see the find us page. Length 345mm, Width 175mm, Height: 240mm. Type AC5RS. 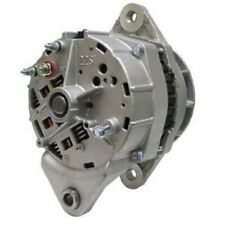 PRESTOLITE 24 Volt Alternator. information on the Prestolite web site as to it's size & what it fits. Serial No 2500 383. & looks to have been laser cut and professionally welded. it has what looks like a conversion bracket that is with it. Part number:IVE274. This policy does not affect your statutory rights. Bison Parts cannot accept liability for any inaccurate or subsequent changes to the information provided. Capacity: 110Ah. UK ref: TYPE 663. 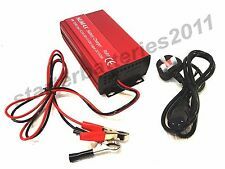 For cars and vehicles with AGM Batteries or EFB batteries MUST Replace AGM Battery with AGM Battery and EFB Battery with EFB Battery or AGM Battery. Bungs (Plugs) are only for transportation use. 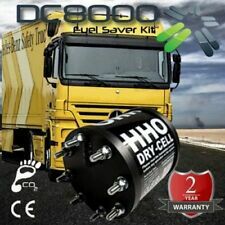 2x 12V TYPE 629 LORRY BATTERIES IVECO/MAN/DAF ETC. CF65, CF75, CF85, XF95, XF105 (2001 on). OE: 1732653, 1603386, 1745335. 644 LUCAS BATTERY. TRUCK - LEISURE - MARINE BATTERY. Based in Halifax, West Yorkshire, but not far from Bradford, Leeds and Huddersfield, we are only a short drive from Lancashire. 2 YEAR WARRANTY. THESE AREAS WILL TAKE LONGER. CONVERTOR 12V or 24V. HELLA PLUG to UK STD SOCKET. 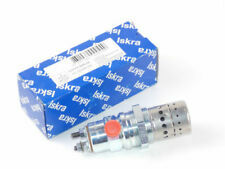 2 way Standard Socket Adaptors for SCANIA. Cigarette Lighter Adaptors. Always Happy To Help. such as kettles, ovens, water boilers, Inc inverters etc. Suitable for 6v / 12v / 24v use. 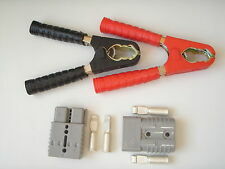 Includes brass connectors and cap seal. Kill Switch Type: Toggle. Simply turn to Off and remove the red key when not in use. This varies depending on your location, and the options are displayed at the top of each ad. 2 X 12V 663 HEAVY DUTY COMMERCIAL BATTERY TRACTOR, LORRY, WAGON. SCANIA 4 Series. 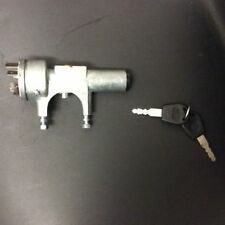 New Ignition Lock Barrel Switch Key Starter. OE ref only. US Battery is recognised as the World's leading manufacturer of deep cycle batteries specialising in golf, sweeper/scrubber, ariel lifts and marine applications. US Batteries are hand built and the use of very thick grids and plates ensures optimum amp hour capacity and long life. 622 NUMAX TRUCK. TRUCK - LEISURE - MARINE BATTERY. Based in Halifax, West Yorkshire, but not far from Bradford, Leeds and Huddersfield, we are only a short drive from Lancashire. Length 512mm, Width 216mm, Height: 207mm. Product Code LP643. UK Code TYPE 643. 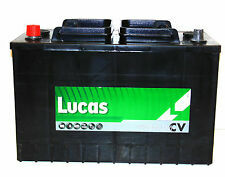 Lucas Premium CV Range Batteries. Maintenance Free with Advance Calcium Lead Alloy Technology. " 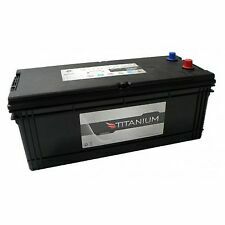 This is a high performance Wet Cell Flooded Lead Acid Battery with Calcium Silver/Tin alloy Technology ". Output Current: 0-1.5A. Connection: Open Ended Bare Wire. Monbat Formula Type 644 Up-rated Plant and Agricultural Battery will fit many popular Plant, Agricultural and Marine applications. Formula power for vans, construction and agricultural vehicles, trucks, buses, tractors, etc. So you can buy best in the British market without any Doubt. OUTPUT: - DC 12V 20A. FULL ONE YEAR WARRANTY. Bungs (Plugs) are only for transportation use. 12V TYPE 644 HEAVY DUTY COMMERCIAL BATTERY TRACTOR, LORRY, WAGON. Also suitable for EX60 but check bolt hole spacing (Bolt hole centres 120mm apart). 24V Battery Relay. Also suits Izusu bus, Trucks TC541, 542 & Komatsu international. Current Amp: 35A. Hitachi No. 4031771. IVECO DAILY II 30-10 2.8 TD / SOFIM 8140.23. 2798ccm 1996-1999. IVECO DAILY II 30-8 2.5 D / 8140.67F 2499ccm 1996-1999. IVECO DAILY II 35-10 2.8 TD / 8140.23 2798ccm 1996-1999. IVECO DAILY II 35-12 2.8 TD / SOFIM 8140.43. CAR/VAN BATTERIES 063/065/0100/017 MANY MORE. BATTERIES FROM £49.99. Monbat Formula Type 663 Up-rated Plant and Agricultural Battery will fit many popular Plant, Agricultural and Marine applications. Formula power for vans, construction and agricultural vehicles, trucks, buses, tractors, etc. Yanmar Marine Engines L40S, L60S. UK Code: Type 096 / 100. SuperBatt Automotive battery range is designed with Advance Calcium Technology which makes them Maintenance Free and give Longer Life compare to conventional automotive batteries. 663 NUMAX TRUCK BATTERY. Positive is on the LEFT for the 663. TRUCK - LEISURE - MARINE BATTERY. Based in Halifax, West Yorkshire, but not far from Bradford, Leeds and Huddersfield, we are only a short drive from Lancashire. 637 NUMAX TRUCK BATTERY. TRUCK - LEISURE - MARINE BATTERY. Based in Halifax, West Yorkshire, but not far from Bradford, Leeds and Huddersfield, we are only a short drive from Lancashire. For details of how to reach us, see the find us page.